Blinking bright red and green–they’re the signposts of the holidays. 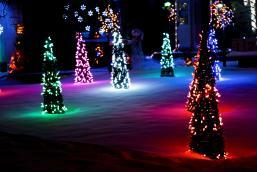 Homes decked out in garlands of twinkle lights, trees glowing with sparkle and streets adorned with bright and colorful decorations. We love checking out the lights and we’ve compiled a few ideas on where you and your loved ones can absorb the Christmas spirit and all its glow. Portage and Main, Winnipeg’s famous intersection and main thoroughfare gets dressed up for the holidays with polar bears, angels and a 30ft tree. Take a stroll past the bustle of downtown Winnipeg as the sun sets and feel the pulse of the city. 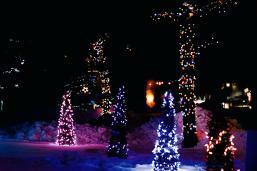 Not much says it’s Christmas like the opening of Canad Inns Winter Wonderland, a staple event in Winnipeg. 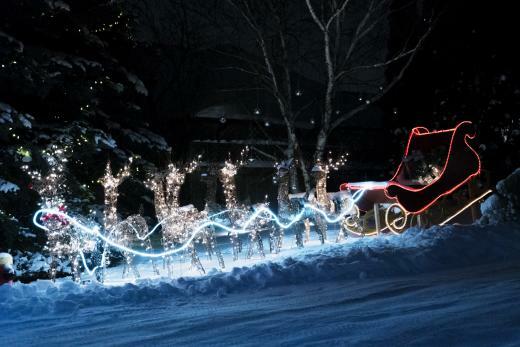 With 26 theme areas boasting more than 1 million lights, it’s perfect for those chilly winter nights where you can cruise along and take in the magic from the comfort of your car. 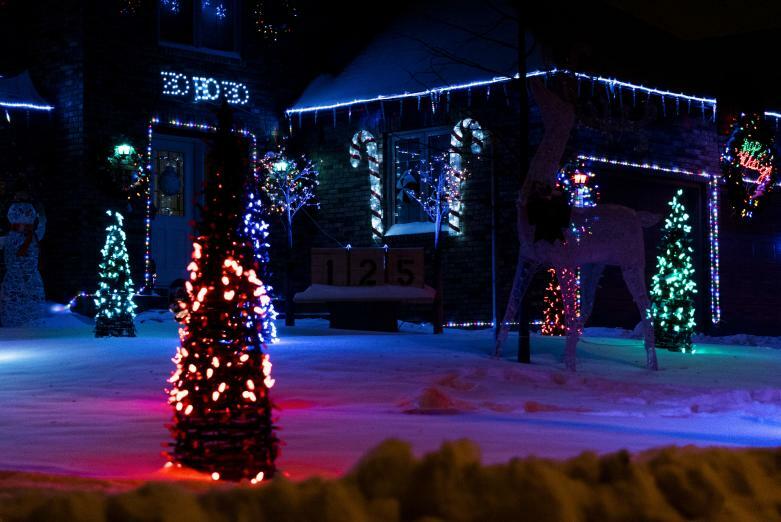 The Winnipeg neighbourhoods of Sage Creek and Linden Woods get dressed up for the holidays with homes decked out in lights. 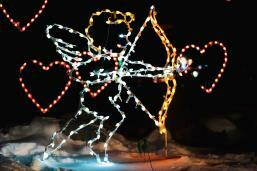 Take a drive down Candy Cane Lane and Snowberry Circle and see these Griswald-inspired families do it up right. 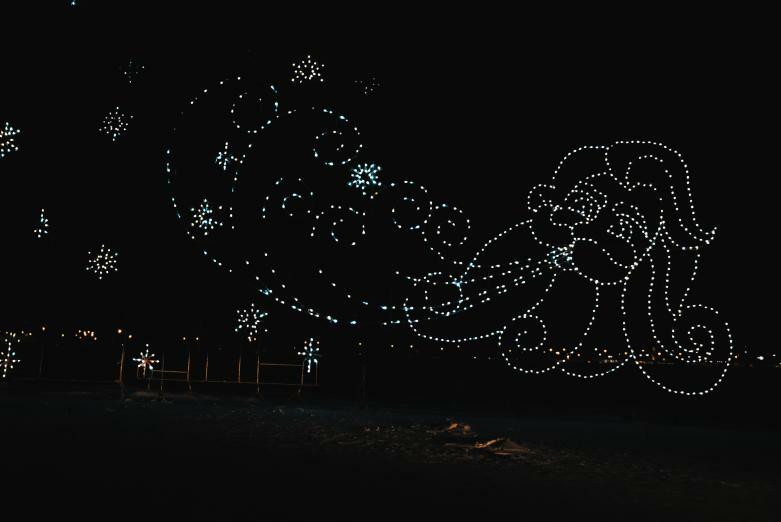 We couldn’t help but notice the spectacular light displays happening at CF Polo Park this year. From two-story reindeer, to glowing domes you can walk through, to swinging chandeliers, the bustling shopping mall is worth a stroll. If you happen to score a pre-Christmas deal on the way, then that’s just a bonus. 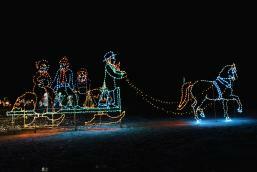 Hit the road and make your way out of town for more lights in Brandon and Portage la Prairie. 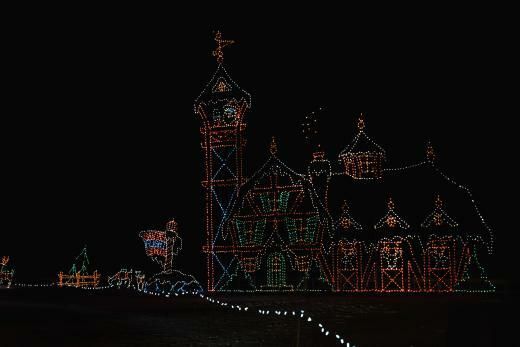 The Waterfall of Lights offers skating backdropped by the twinkle of lights, while the Island of Lights offers hayrides to those stopping in.